North Hills Caregivers by Blue Diamond Home Care are here to service you. We understand that seniors in North Hills may need Caregivers that at times with everyday activities. We can help send Caregivers that are insured and here to assist you. These caregivers can provide non medical in home senior care, while nurses can provide medical care for North Hills Clients. We also work with Your Direct Health care to provide service of those needing Los Angeles Caregivers for Seniors who need Home Care in Los Angeles CA. We realize that bringing North Hills Caregivers into your home is a serious issue for many seniors. We Can Send experienced North Hills Caregivers and Nurses that ready to assist you. We offer great flexibility when it comes to our North Hills Caregivers. We do not have hourly minimums nor do we have ant start fees for our North Hills Caregivers. So this means we will come to your home for free and do a consultation. This is where any all questions regarding your care is answered. We also can work with your insurance to get you additional care services for free. In addition to providing in home care services and nursing, we also can provide you with physical therapy and speech therapy. We also have other forms of licensed therapy such as massage therapy and occupational therapy. Our goal here at Blue Diamond Home Care is to provide clients in North Hills California with amazing home care services. 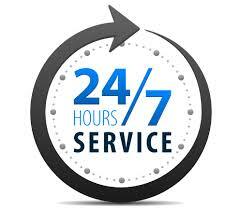 Blue Diamond Home Care is an in home senior care provider and our phone lines operate 24 hours a day 7 days a week. Feel free to call us and find out what types of services we can offer you to better assist you with your in home senior care needs.